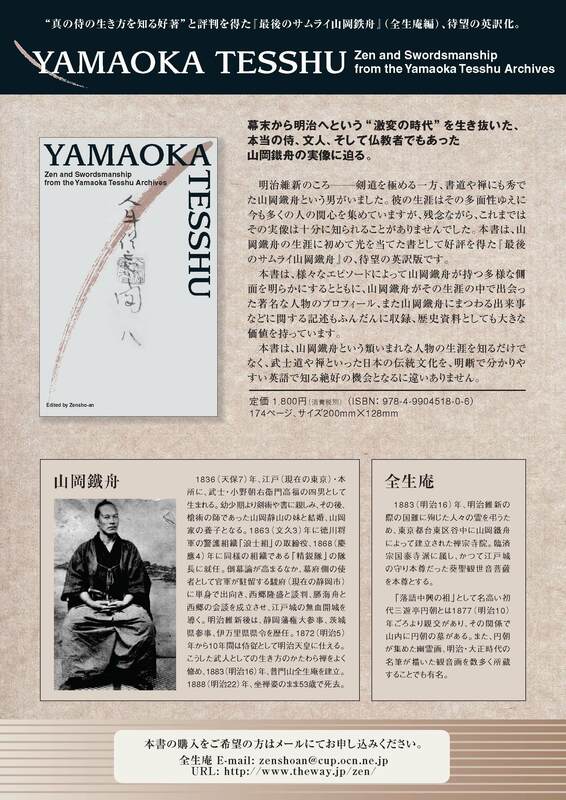 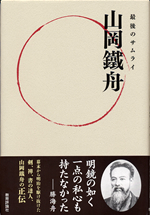 This book was originally published by Kyoiku-hyoron-sha in Japanese under the title Saigo no samurai: Yamaoka Tesshu(The last samurai Yamaoka Tesshu). 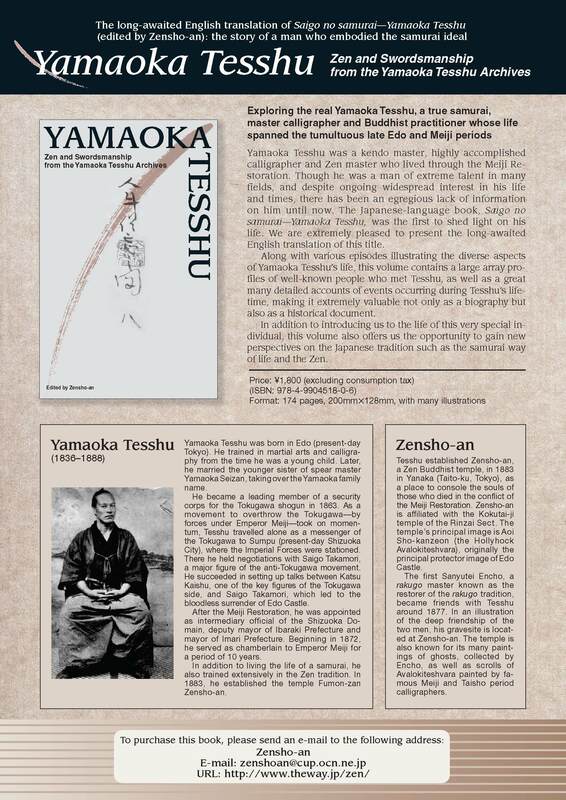 Yamaoka Tesshu built the Buddhist temple Zensho-an in 1883, installing the Zen master Esso of Kokudai-ji temple (located in Takaoka, Toyama Prefecture) as head priest. 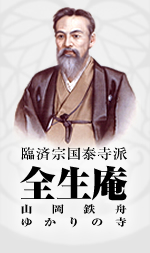 His purpose was to comfort the souls of those who lost their lives for their country during the upheaval of the Bakumatsu period (late Edo period) through early Meiji era. 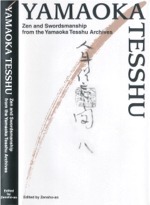 Tesshu also hoped that Zensho-an temple would help to maintain Japan’s traditions and unique sprit at a time when the Meiji Government was attempting to westernize many aspects of Japanese life.